There often seems to be a shroud of mystery encircling the world of credit scoring and underwriting. For the borrower applying for a homeloan, the desire to understand such a process is probably minimal – until the answer comes back from the mortgage lender as: “No, we can not lend you the money”. According to research from Datamonitor, more than 8.3 million people of working age would be rejected for a mainstream mortgage. That excludes 23 per cent of the working population. There are a variety of reasons why modern credit scoring systems will accept or discard a mortgage application. Obviously, reasons will vary from lender to lender, depending on their individual criteria, and it is vital that financial advisers do not assume that one process applies to all. For advisers to do their job effectively they must have an informed and balanced view of the credit scoring system. This enables them to advise clients on how the system can work with them and not against them. So, what is credit scoring? Essentially, it is a system of allocating points to applicants to assess their creditworthiness. Lenders have different systems which allow them to accept or reject borrowers based on their preferred criteria. These criteria will have been put together as a profile of their “ideal” customer based on their experience of lending – one who meets their repayments and will not default on the loan. Decisions are often based on both the results from the lender&#39s credit score based on the information on its own application form as well as information supplied by credit reference agencies such as Experian and Equifax. They can supply details on the applicants past credit history. The sheer volume of criteria that can be assessed is daunting. There are the obvious factors, such as lack of a bank account, being self-employed or missed payments on debts. However, frequently applying for credit or having several house moves in a short period of time can also have a negative effect. For some lenders, it is the finer detail that can make a difference. By listing, for example, valuable assets such as an expensive hi-fi or computer system, what car they drive or what saving or investments they have, borrowers can influence the application. All these factors can help build a picture for the lender to tell them what type of person they want as a customer. The criteria used to base decisions on are often not publicly available to avoid anyone being able to manipulate the system. However, if an application is declined this can be very frustrating for both the lender and the mortgage adviser – especially when the lender and consequently the adviser are unable to give reasons why. However, for applications that fit the lender&#39s criteria, the electronic credit scoring system is favoured for both its speed and efficiency. If an application gets the green light from the lender, then things can proceed quickly. But using a computerised system to make decisions can mean that if a borrower does have any “grey areas” in their financial status or history, the system may reject it. Where does this leave the more personal approach of underwriting, a system which uses people rather than computers to assess a mortgage application? Underwriting allows the borrower to be assessed by an individual and decisions can be made based on a more detailed understanding of the applicant and their ability or intention to repay the loan. Due to the large number of borrowers falling outside the mainstream credit scoring systems, there has been a significant growth in specialist lenders offering loans to those borrowers who have otherwise been rejected by the high street. In this case, underwriters are able to examine the grey areas that will have kept these borrowers from being accepted by high-street lenders. These can include those who are classed as credit impaired, self-employed or who are looking to buy property as an investment. Being classed as credit impaired can be due to a variety of reasons, such as past mortgage arrears or county court judgments showing on a credit record. An underwriter will not be ignoring a client&#39s past financial record but will also take into consideration the present and the future. Self-employed people face the same hurdles. They will be discarded by many mainstream scoring systems due to their inability to prove both their current income or provide sufficient account history. For those who have been trading for under two years, this will be particularly difficult. Underwriting, however, by its very nature does take more time to complete, which can lead to delays and inconvenience for both the adviser and the client. Unfortunately, it can also be argued that lenders often fail to give regular updates on the process of the application due to the volume and complexity of the applications going through their systems. This frustration can be doubled if the application is eventually rejected. 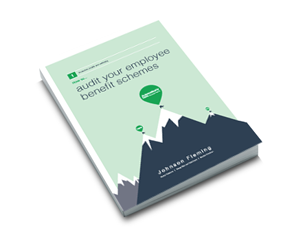 Employing a large team of underwriters can be a costly decision for a lender to make, especially when compared with putting an application form into a computerised credit scoring system. Criticism is also levied at underwriting as a means of mortgage processing due to the inconsistency involved in the decision making process. However, with a clearly defined set of guidelines, underwriters are skilled professionals who should know the boundaries in which their lender should work. The adviser has a responsibility to the client in that they should know and understand the best option for them depending on their individual needs. In this way they can ensure they direct them to the most appropriate lender and keep delays to a minimum. This is not to say the adviser should become a quasi-underwriter but having all this knowledge up front can only be of benefit to all concerned. Some lenders have spent considerable time examining the credit scoring process and therefore a combination of both approaches have been adopted by some. In this way, those with straightforward applications can be dealt with quickly and efficiently. However, for those who might be rejected by the first stage, there is another opportunity for an underwriter to examine what the problem might be and progress the case in the appropriate way. Not every lender follows a pre-set credit scoring format. Each one will be different in some way depending on what type of borrower the lender wishes to attract and their desired credit standards. It is this level of detail that the adviser can use to his/her advantage. By knowing and understanding the client up front, needless hold-ups can be avoided. For the majority of borrowers, the fast and efficient service offered by mainstream lenders is acceptable. Most borrowers will sail through the process, ensuring their mortgage application is not held up by unnecessary red tape and decision making. However, the importance of the human angle must not be ignored, especially in the niche sectors of the mortgage market. Where cases do fall into the grey area of mortgage lending, human input will continue to be invaluable.